In a nationwide effort to combat road accidents, many states including Massachusetts have implemented the Graduated Driver Licensing (GDL) program. The program is meant to help first time driver’s license applicant to become safe and more responsible drivers when they obtain a driver’s license. The GDL has several milestones thatapplicants are required to achieve before obtaining an unrestricted driver’s license. Some of the milestones include obtaining a learner’s permit and taking a written permit test. You must have held your permit for more than six months, and you must not have any traffic violation for the past 6 months. It is worth noting that learner’s permits fromBritish Columbia, Montana, or Washington State are not allowed by the Massachusetts RMV. When you have all the required documents, book an appointment with your local RMV office and prepare for the test. The written test is computer based and is administered on computerized testing stations featuring easy-to-use video screen booths. The test consists of 25 questions based on information from the Massachusetts driver’s manual. It mainly cover the following areas: defensive driving, parking, sharing the road, safe driving practices, Massachusetts traffic laws, road signs, traffic signals, road markers and how to enter and exit the freeway. 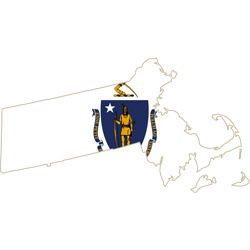 You can prepare for the test by studying the Massachusetts driver’s manual which will give you comprehensive information that is required for the test. Furthermore, you can also take online practice test, the tests cover the kind of questions that will be set in the actual test and is therefore a good way to prepare for the test. You will have a maximum of 25 minutes to complete the test, and you will need to answer 18 questions correctly to pass. In addition you will be required to pay a fee of $30.